A few weeks ago when we had our big heat wave, I was in the mood for something with pumpkin but didn’t feel like turning the oven on. Since all I wanted to do was eat ice cream to help beat the heat, I decided that making some healthy frozen pumpkin bites would be a nice way to get a cool treat without a lot of sugar. 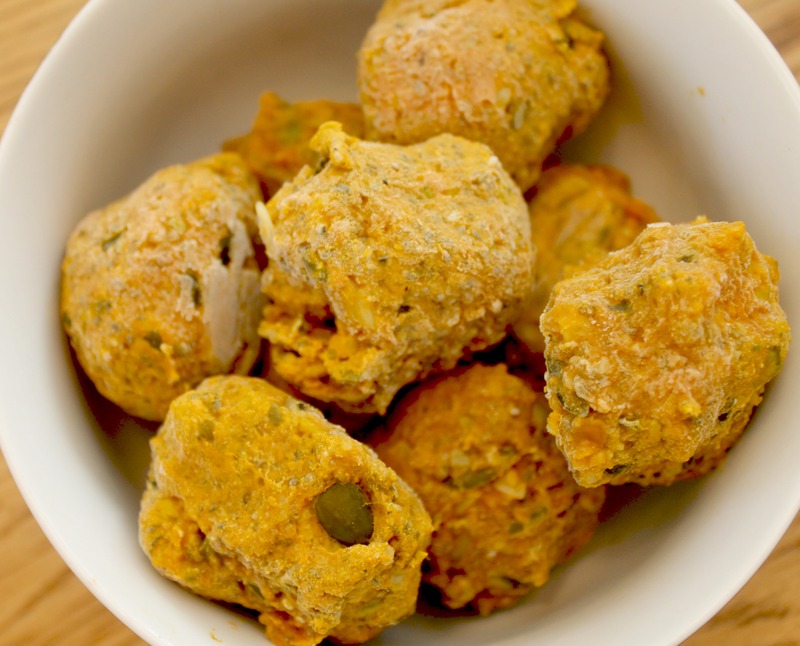 These frozen pumpkin bites are made with canned pumpkin, chia seeds, a variety of nuts and cinnamon. That’s it. They definitely aren’t sweet at all, but I think adding a tbsp of maple syrup or honey would give them some nice flavor. The great thing about these bites is that they are so versatile! You can swap in nuts and seeds of your choice, and even add some chocolate chips if you are feeling extra fancy (which I plan on doing for my next batch). 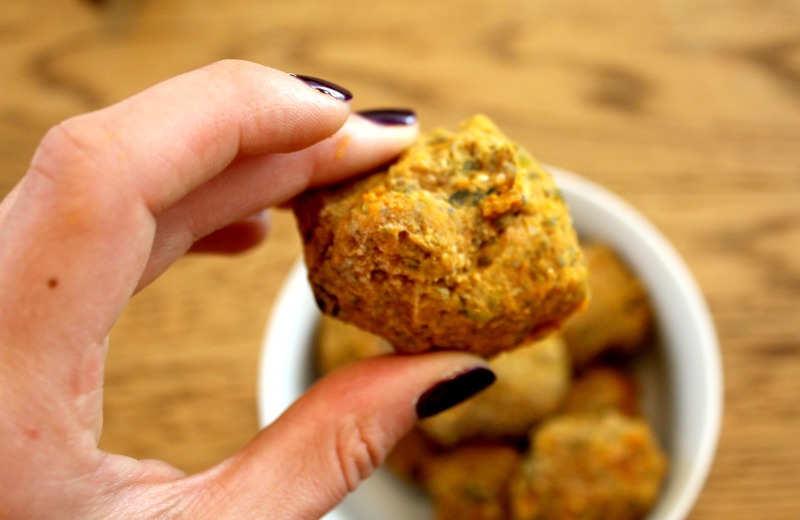 Whether you are in a heat wave or not, you’ll definitely want to add these frozen pumpkin bites to your snack rotation. Place all of your ingredients in a food processor. Pulse until the nuts and seeds are chopped. If you don’t have a food processor you can chop the ingredients by hand as well. Roll your mixture into balls and place on a baking tray lined with parchment. Place in the freezer for 1-2 hours, or until the balls are nice and firm. You can also place the balls in the fridge, just let them chill longer. Eat and enjoy! 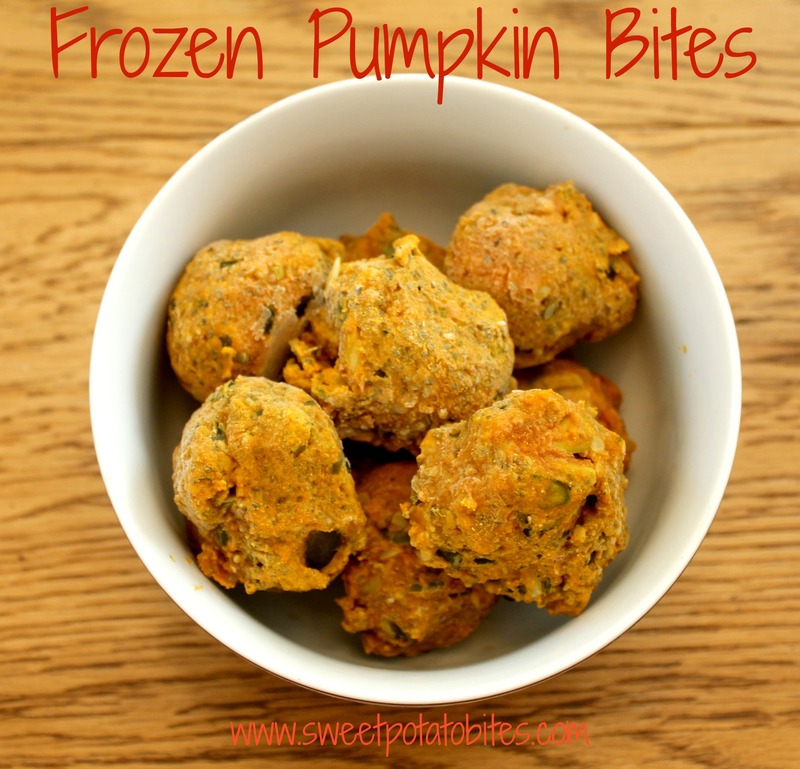 The perfect frozen pumpkin snack. This entry was posted in Cooking, Gluten-Free, Good Eats, Paleo, Pumpkin and tagged dessert, healthy snack on September 29, 2014 by allie@sweetpotatobites. Yum! I bet adding some dates to the mix would also add a bit of sweetness without making them too runny! Love that idea – I need to buy more dates. I think figs could be interesting too!